The theme for Safer Internet Day 2018 (@safeinternetday) - a better Internet starts with you - speaks to our values as a platform. Twitter shows the world what’s happening. We all contribute, we all have our part to play. Safety is an integral part of everything we do as a company. We recognize that to express yourself on our platform, you must feel safe. Over the past 12 months, we've introduced a range of new policies and tools to improve Twitter for everyone, including refinements to the core of our product. 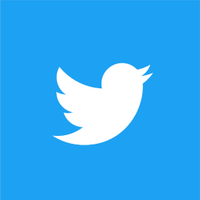 We’ve also launched a brand new Safety Center and met and engaged with our Trust & Safety Council for the first ever Twitter Trust & Safety Summit, with the goal of soliciting their direct, expert feedback on our vision for a safer Twitter. We’re seeing results. By leveraging our technology, improving our core functionality, and introducing a host of brand new features, we’ve seen a marked improvement. We’re also providing better user education and demonstrating increased transparency around our decision-making and the philosophy behind the Twitter Rules. To celebrate the global conversation around internet safety, we launched a special emoji that’s activated by using the hashtags #SaferInternetDay and #SID2018. The emoji helped to unify and strengthen the conversation around Safer Internet Day, encouraging users to create, connect, and share respect online. So far, there’s been more than 100,000 Tweets using the dedicated hashtags, generating 6,516,275 impressions. In Europe, @TwitterDublin and @TwitterUK worked with the Insafe Team to coordinate the launch and promotion of the global #SaferInternetDay emoji, while also supporting the promotion of content through @safeinternetday and @UK_SIC. Across the continent, we supported partners such as @Webwise in Ireland and @klicksafe in Germany through our Ads for Good program, ensuring that their voice and core message was elevated on Safer Internet Day and beyond. In Singapore, @TwitterSG hosted the Singapore Media Literacy Council’s launch of its 2018 #BetterInternetSG campaign. Together with key social outreach organisations and the Digital Quotient Institute, @TwitterSG will partner with the Media Literacy Council throughout 2018, conducting digital literacy workshops for parents. With our support, a parents’ resource for the online space will also be created in all four official languages of Singapore. This targeted resource will include Twitter safety tips and best practices. In Indonesia, we invited @DamarJuniarto from the South East Asia Freedom of Expression Network (@SAFEnetvoice) to write a guest blog and to share some tips to stay safe on the internet. We then amplified this across Indonesia using @TwitterID. There is also ongoing discussion of collaboration with SAFEnet for a possible joint campaign during Safer Internet Month later this year. In India, we worked with Ministry of Electronics and Information Technology (@GoI_MEITY) and hosted a Twitter Q&A on cyber security questions, using #SaferInternetDay. The Director General of @IndianCERT (Computer Emergency Response Team) answered a range of questions and provided safety tips on avoiding phishing attacks and reporting cyber crime. We also worked with law enforcement agencies like @Uppolice, @MumbaiPolice, and @BlrCityPolice, as well as NGO partners @CSR_India, @INBreakthrough, and @YouthKiAwaaz to use the emoji to drive civic conversation. In KSA, @TwitterMENA worked in cooperation with @CITC_SA, the Saudi Communication and Information Technology Commission. While celebrating #SID2018, CITC launched an exclusive awareness campaign on Twitter that included tips directed to parents and young internet users on how to have a safe online experience. In Korea, @TwitterKorea collaborated with Korea Internet & Security Agency and news organization BoAn News to produce two blog posts aimed at promoting information and personal security, and Twitter’s tools to promote and enhance a safe experience on the platform. @TwitterKorea also awarded an Ads for Good grant to partner Open Net, who advocate for core digital values of equal access, freedom of expression, and transparency in Korea. In Japan, @TwitterJP delivered a presentation at the Safer Internet Day 2018 symposium, in which multiple stakeholders including the Ministry of Internal Affairs & Communications (MIC), Ministry of Justice (MOJ), National Police Agency (NPA), Ministry of Economy, Trade & Industry (METI), Cabinet Office, UNICEF Japan Committee, ECPAT/STOP Japan, Yahoo! Japan, Google, Airbnb, LINE and Mercari, participated. In Australia, we worked with our safety partners to promote helpful tips and best practices about how to stay safe on Twitter. For example, using an Ads for Good grant, @Reachout_AUS was able to let kids know they’re not alone online and to learn Reachout’s top five tips for how to deal with cyberbullying. @TwitterAU also put together a dedicated Twitter Moment that was updated over the course #SID2018. We sought to create just a snapshot of the vital work our safety partners are doing to support people across Australia and New Zealand. In Spanish Speaking LatAm, @TwitterLatam collaborated in different ways to promote the outreach efforts of leading NGOs in the field. In Mexico and Chile, for example, we provided Ads For Good grants for @Redlamyc, @vocacioncentral, and @derechosdigital, as well as the Educator’s Guide to Twitter to boost their efforts to promote a safer and secure Twitter. While in Colombia, we held a safety training for key in-market NGOs, all with with the help of our partner @karisma. In Brazil, we attended @Safernet event hub in São Paulo in which they discussed freedom of expression, online safety and education, and how to promote counternarratives online. We also awarded our partner in Brazil an Ads for Good grant to boost their efforts to promote a healthier, more secure environment online, and amplified Safernet's content through @TwitterBrasil. Check out our continuing updates to promote a safer Twitter at @TwitterSafety.